The Cardenal Cisneros Foundation is the owning entity of Centro Universitario Cardenal Cisneros. Its aim is to train professionals with a firm commitment to education and engaging with people, based on permanent dialogue, research, shared reflection, and educational innovation. 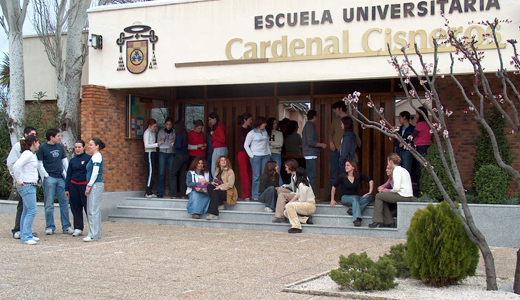 Centro Universitario Cardenal Cisneros has had an affiliation agreement with the University of Alcalá since 1979. 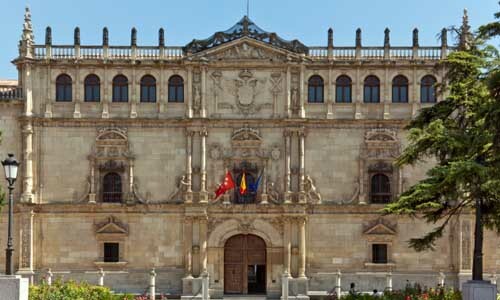 This affiliation with the University of Alcalá makes us feel part of a wider university project with a firm commitment towards quality, the generation and transmission of knowledge, and the development of science and culture. The driving force behind Centro Universitario Cardenal Cisneros is the Marist Brothers religious congregation. The Marist Brothers Institute was founded in 1817 by Saint Marcellin Champagnat, whose philosophy was "to teach children, one must love them". His mission was to educate children and young people with great compassion and care for those most in need. Today, there are over 4,300 Marist brothers, living and working in 76 countries all over the world. The Marist brothers share their educational and evangelical mission with over 40,000 people, working with some 500,000 children and youths. 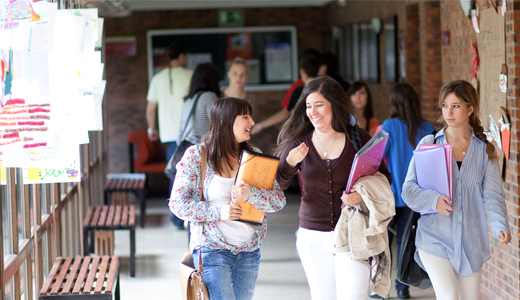 Centro Universitario Cardenal Cisneros is also part of the Marist International Network of Higher Education Institutions formed by over thirty universities from all over the world. These universities share the same educational mission, principles of identity, relevance, equality, and participation. 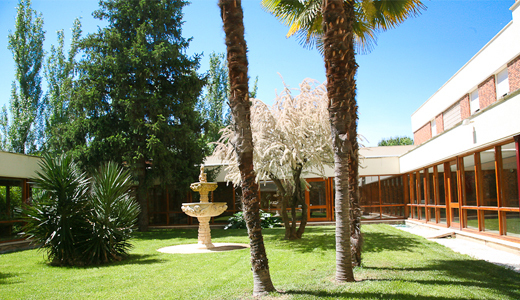 Centro Universitario Cardenal Cisneros is founded and starts to operate as a University Teacher Training College (Escuela Universitaria de Profesorado de EGB) with the initial support of the Complutense University of Madrid. 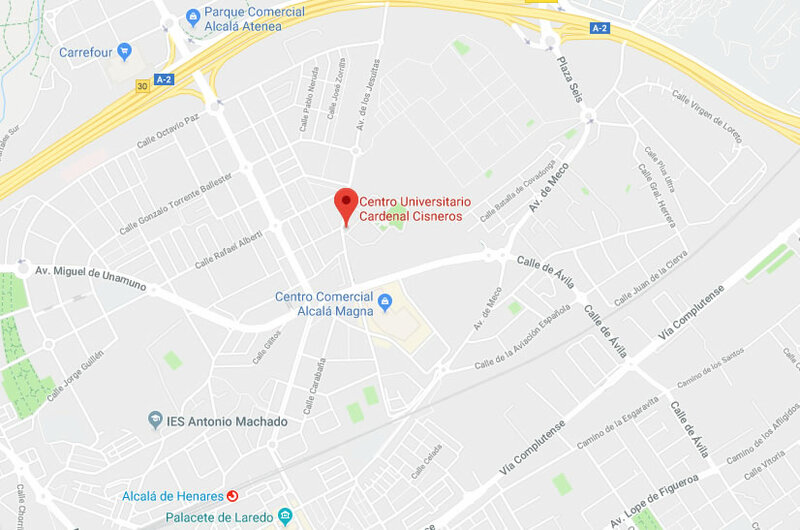 Centro Universitario Cardenal Cisneros signs an affiliation agreement with the University of Alcalá (UAH) and becomes part of a wider university project with a firm commitment to quality, the generation and transmission of knowledge, and the development of science and culture. Five education specialities are offered: Speech and Language, Special Education, Infant Education, Primary Education, and Foreign Language Teaching. New official university degree programmes are introduced: Diploma in Social Education. The CUCC virtual campus is launched as a pioneering online distance learning platform that is more dynamic and adapted to the student than traditional distance learning courses. 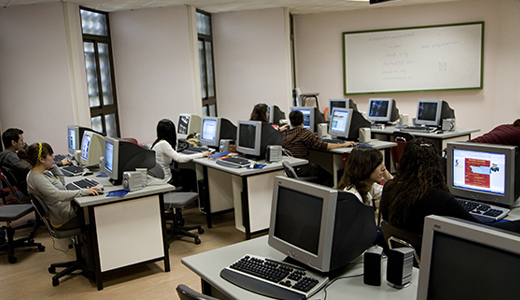 Undergraduate Degrees are introduced in the 2010-2011 academic year following CUCC’s adaptation to the new European Higher Education Area (EHEA) and the Bologna Process. 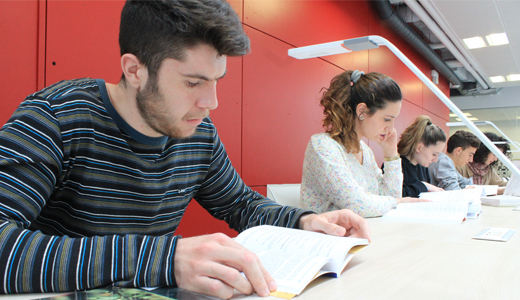 CUCC introduces an official Degree in Psychology, thereby, expanding its range of study programmes and responding to social and educational demands.